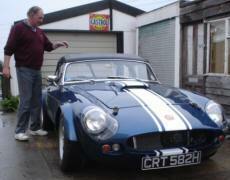 Gerry Hunt has collected the Ginetta G4 that we built for him. It is a very close replica of the car he raced in the 1960s and we recreated the original series 3 bonnet and extended arches from scratch. Gerry intends to hill climb and sprint the car next year. Gordon Robertson's Ginetta G21 got it's MOT after a chassis change! It was nice to receive a Christmas card from Yuji Shinohara. Spadge met Yuji when he visited Japan some years ago at his Ginetta, Lotus and Caterham showrooms Witham Cars. Somewhere Spadge still has the "Witham Cars - Lightweight Fetish" sweatshirt that Yuji gave him. The red Ginetta G21 is finished, the Ginetta G4 of Gerry Hunt should leave this week, Neil Russell's Griffith 400 will whiz to Hexham shortly and Richie Quayle's Ginetta G12 is coming on well. The absolute oneoffness of the Alfa G15 and the ongoing work has made us reluctant to fix a price for it ... but we've bit the bullet! 25 oc 2005 You can now post your own Free Ads on our bulletin board. Like a true enthusiast Rob Glenister doesn't really want to sell his Ginetta G15 but kicking and spitting, swearing and biting he's put it back in the Free Ads. The Ginetta G33 has sold and PNR Panel Supplies are a helpful company and Paul Reece says nice things about this web site! 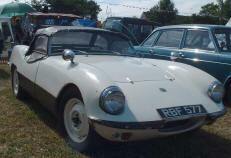 Spadge couldn't make it to the Hacheston Bygones Sunday because he was in France delivering the Elva. Best in show was the Morgan but NaTCH spotted this 1961 Elva Courier MkII which lives a few villages over from us, expect a feature about it on here soon. The Elva went to Snetterton last week for testing and after a redesign of the cooling system went very well indeed. The dashboard features possibly the world's largest oil warning light ... yes it does look like a MGA indicator doesn't it? As you might expect Gerry Marshall's funeral was quite an occasion. Scottish Sprinting have a new web site and the Ginetta G32 convertible has sold. Scottish domiciled David and Nina Baker were the first to sign up for Spadge's newsletter last night and soon the list had grown to five. Dennis Featherstone was over in his Ginetta G10 the other day. We spent the day working on his bump-steer using our gauges, raising the rack on custom made spacers and resetting the tracking. Dennis says it has transformed the beast ... and it is a beast with 302 cubic inches of immaculately prepared V8 under that immaculate bonnet. Gerry Hunt successfully raced a couple of G4s overseas in and is featured in Trevor Pyman's book. 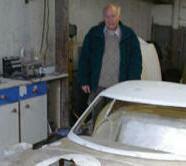 We are currently building a replica of his second car for Gerry. 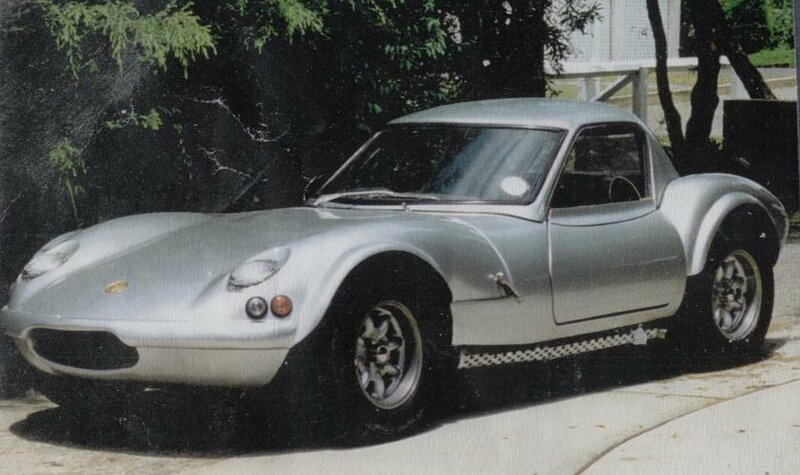 The new car is constructed around an original Ginetta square tube chassis. 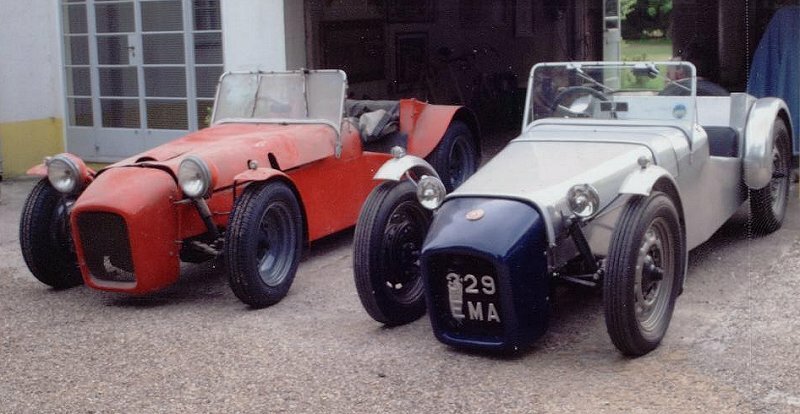 Gerry's G4 had flared arches, a series 3 bonnet and a later style hard top; all hard to replicate in 2005 but Mark Walklett lent us a hard top to take a mould from, we have an original but rather tired series 3 bonnet and Nick has worked his magic with the flares. Apologies for the silence recently. The rumour that it's because Spadge has been fitting french windows and a veranda to his new race car transporter is not true. The rumour that he's using it to take three cars to Italy is true. 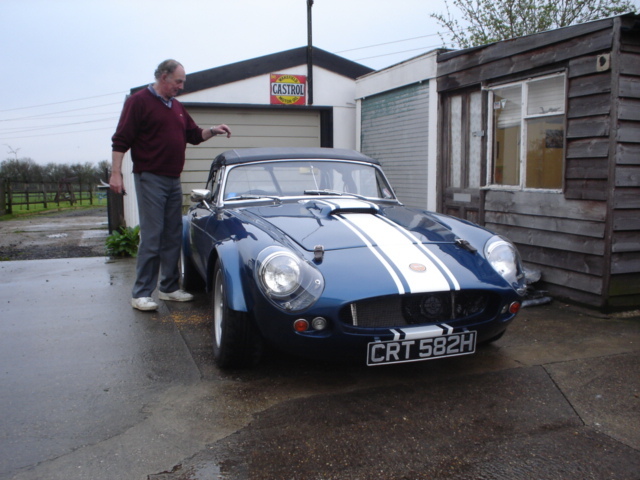 Spadge pointing out a cunning customer mod on a Ginetta G15 bonnet designed to spray hot road dirt over the windscreen. The race car transporter that Spadge was bringing back to the UK broke down in France ... oh how he laughed ... but he did get to see on the hotel telly dah dah dah duhduhduhdu duhduhduhdu A Man and A Women.